Offering you a complete choice of products which include ro membrane. 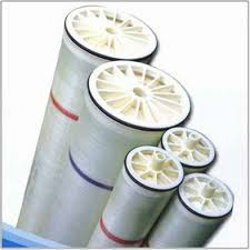 With our expertise in this domain, we are able to offer a superior quality range of RO Membrane. Offered range comprises several thin layers or sheets of film that are bonded together and rolled in a spiral configuration around a plastic tube. The material of the membrane is semi-permeable and it allows water molecules to pass through while acting as a barrier to dissolved solids.